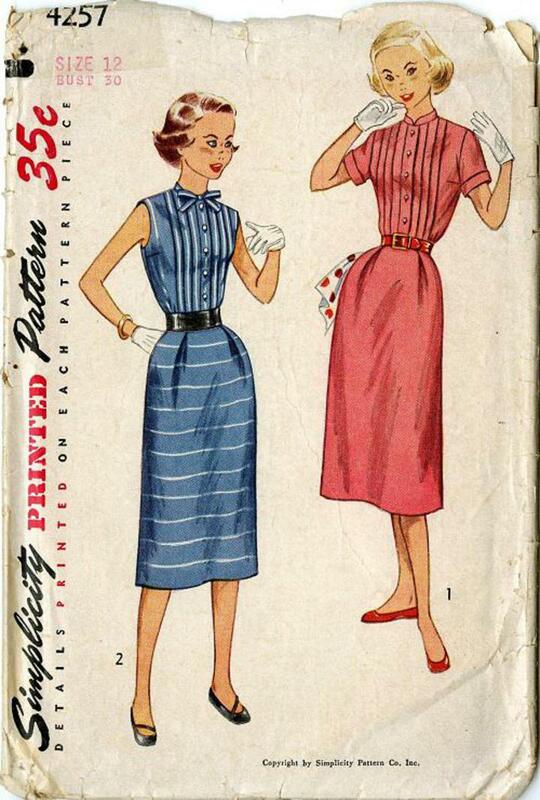 1953 Simplicity #4257 vintage sewing pattern, teen girls' one piece dress, size 12. This slim dress is detailed with tucks on bodice front, soft pleats at front waistline of skirt and a pleat at center back. 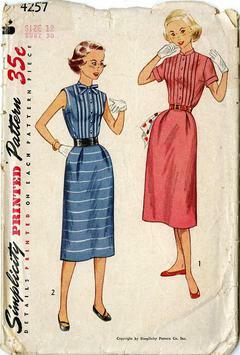 Pockets are featured in side seams. V. 1 has a small standing collar and short sleeves with self cuffs. V. 2 in sleeveless and has a small tie collar.